Ask Sid: Europe Wine Fairs in 2018? Question: We run a wine shop and are organizing our European trip for Spring 2018. 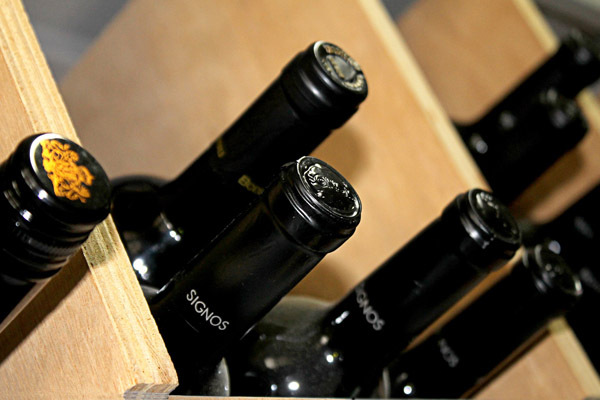 Sid are there any Wine Fairs you recommend we should check out? Answer: Yes the increasingly popular Prowein in Dusseldorf will run for 3 days March 18-20; taste 2017 Bordeaux Primeurs on April 9-12 followed by Vinitaly in Verona April 15-18. 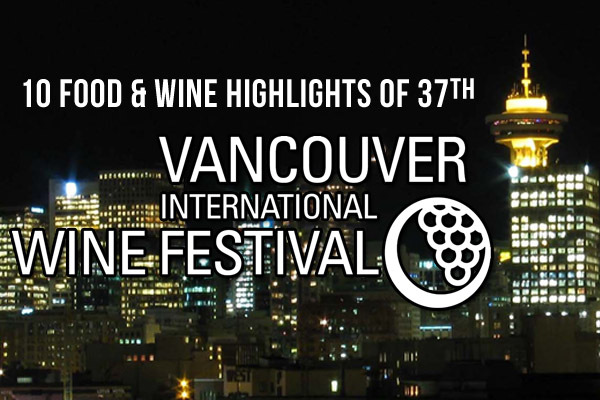 In fact those 2 events now have organized their schedules so you can visit both consecutively with already fixed dates for 2019: April 1-4 BP & 7-10 V + 2020: March 30-April 2 BP & April 5-8 V. Also London England Wine Trade Fair at Olympia May 21-23. 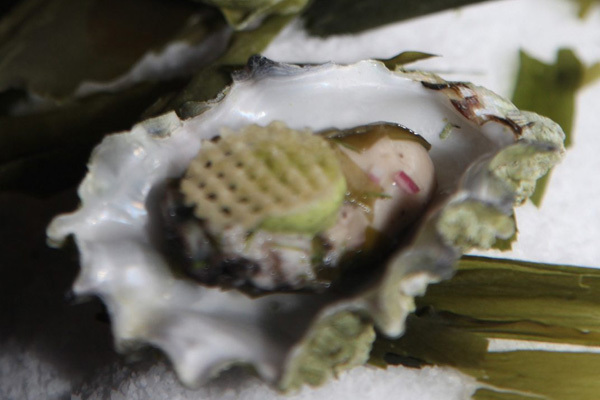 Stop off in Hong Kong on your way back for their 20th Vinexpo celebrations. Enjoy. 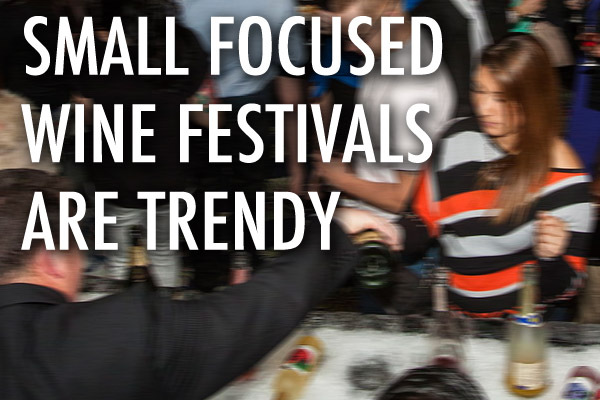 Have you ever attended a wine fair? Roederer Cristal: Lovely iconic bubbles to start off with from a more generous elegant drinking vintage! Tertre Roteboeuf: Dark deep enticing ripe Merlot blend very soft textured being almost 2003-like. Pavie Macquin: Similar smooth St. Emilion styling with more intensity of mellow herbal notes. Petrus: Higher class level of structured density with complex iron notes in harmonious concentrated fruit. Domaine de Chevalier: Big surprise with open more balanced drier fruit but elegant delicious drinking. Haut Brion: Easy winner of 2nd flight with mineral loaded graphite so stylish terroir singing brilliantly. Palmer: Full easy forwardly sweet blend with impressive textures but less flowers than anticipated. Lafite: Best bouquet of pure ethereal cedar with power + elegance from strict selection for Grand Vin definitely impresses and is arguably wine of the night! 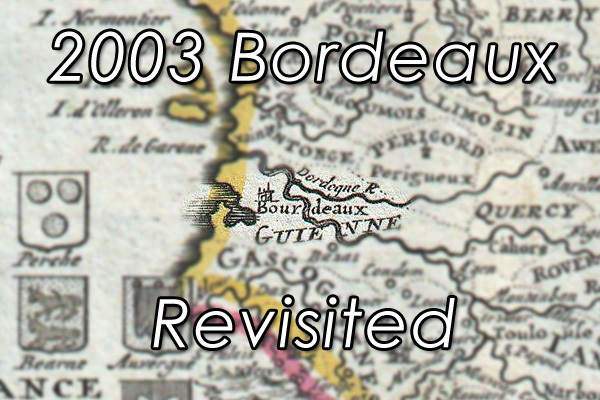 Margaux: Very dark look more floral than expected with slightly dank cellar notes making it less pure for me as not the best example of a highly rated wine but has very solid richness nonetheless. Latour: Also very deep but more closed in nose with concentrated full plums on entry with tannins so this should develop further and age well. d’Yquem: Rich concentrated more accessible fruit here developing some complexity of apricot-orange, ginger and chocolate. In summary these 11 wines from 1999 were all of much higher quality than expected from this under-rated vintage. Recommend them. Check out the menu shown below for the different food matches they suggested go with top Bordeaux. Some less assertive flavoured protein dishes worked better than others showing spices and chili peppers but all proved interesting. Some excellent freshly chopped last minute made dim sum dumplings and siu mai paired perfectly with top Bordeaux. 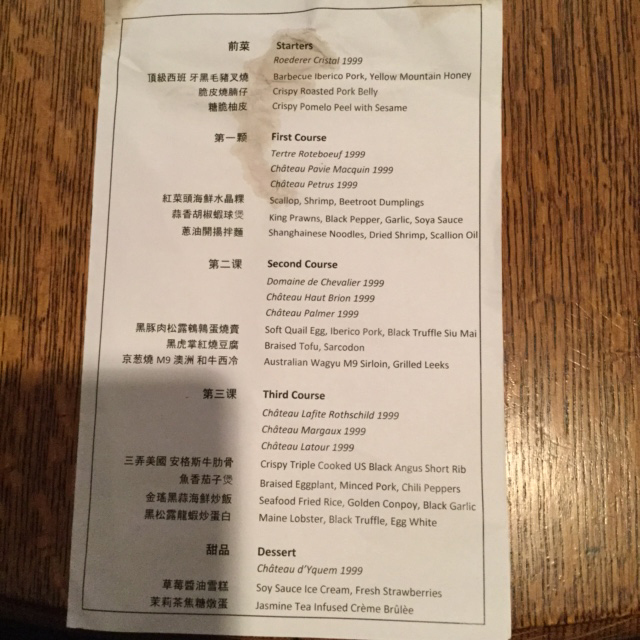 Have you found any special Chinese dish that you prefer with aged red Bordeaux? 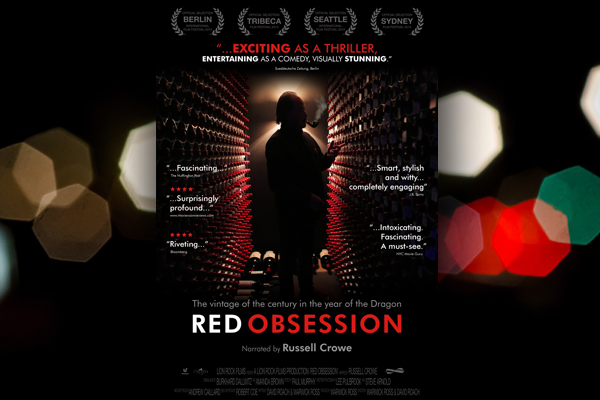 From the legendary vineyards of Bordeaux to the prosperous skyline of Asia’s financial hub, the 2013 documentary Red Obsession is much more than a simple lesson in supply and demand. Through the use of stunning visuals and revealing interviews, the film successfully puts an exclamation mark on China’s insatiable thirst for First Growths—and what it means for the rest of us as this emerging superpower begins to flex its economic muscles. Wine becomes a metaphor as the dragon awakes, ready to shake the world! Narrated by Academy Award-winning actor Russell Crowe, this Australian produced documentary begins in Bordeaux, arguably the most famous wine region in the world today. 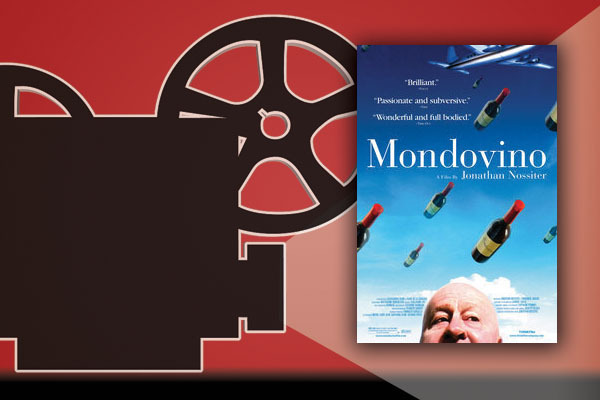 Examining why its terroir is the envy of oenophiles everywhere, the film interviews several heavyweights in the world of wine such as Oz Clarke and Jancis Robinson, who both excel at providing candid yet memorable responses. Indeed, a key strength of Red Obsession is that despite it being tailored towards aficionados, anyone with a casual interest in the subject can watch it without feeling left out. Explaining the climate, soil, and pivotal events such as the 1855 Classification in such a straightforward fashion (and with great cinematography to compliment the narration), the first twenty minutes are an important history lesson that’ll get everyone up to speed. Moving on to the meat of the film, we travel nearly 10,000 kilometers to Shanghai where we see a booming metropolis showcasing the latest fashions and designs for avid Chinese consumers. Ironically, as time lapse footage shows us a hyper-capitalist society where its people are clamoring for brand names and material goods, it’s so easy to forget that on paper, it’s still officially the People’s Republic of China. Thankfully, the producers provide us with important historical context, allowing us to make the link between the Cultural Revolution of the 1960s and 1970s and the present day. By opening up its markets (and its ideology) to Western culture, a gigantic genie has escaped from the bottle, ready to indulge itself in a hobby that was outlawed only a few decades before by the Communists. 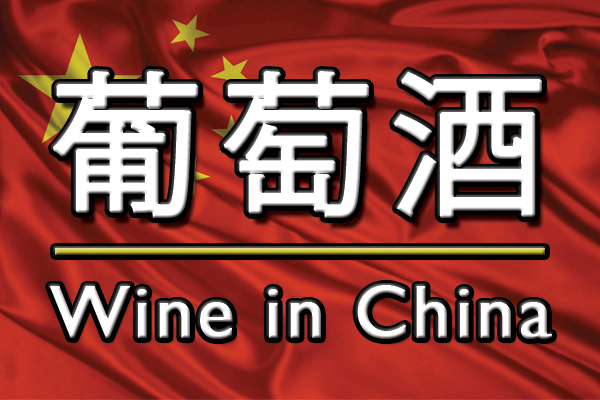 This brings us to the subject of wine collecting, and how China has suddenly taken a strong interest in what Chairman Mao would’ve condemned as a bourgeoisie obsession. As one interviewee explains, in just ten short years, the country has jumped from 1 to a reported 271 billionaires. 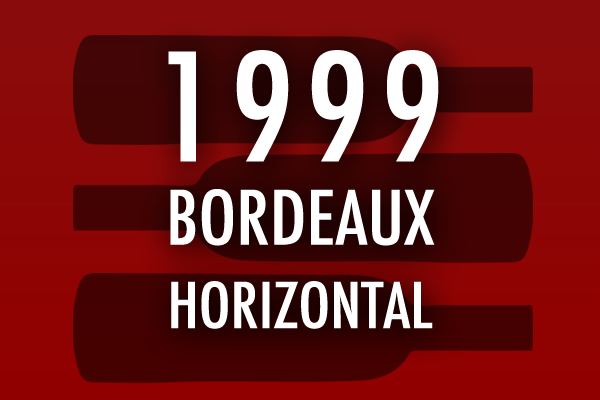 So with all this disposable income lying around, its nouveau riche have driven prices through the roof when it comes to Bordeaux, and especially the First Growths. 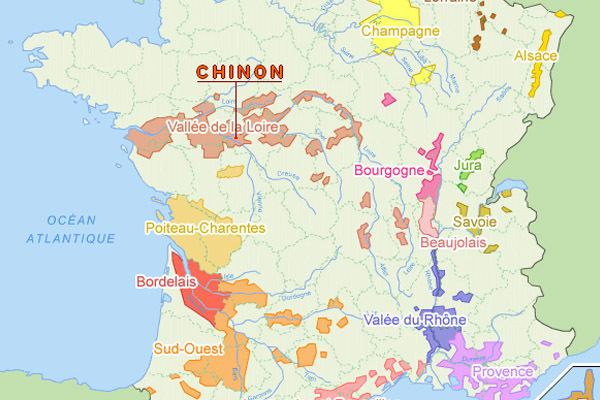 Unfortunately, since wine is largely inelastic, French winemakers are increasingly boxed in between their traditional customers in Europe and North America and this new market that is more than willing to bid them up. 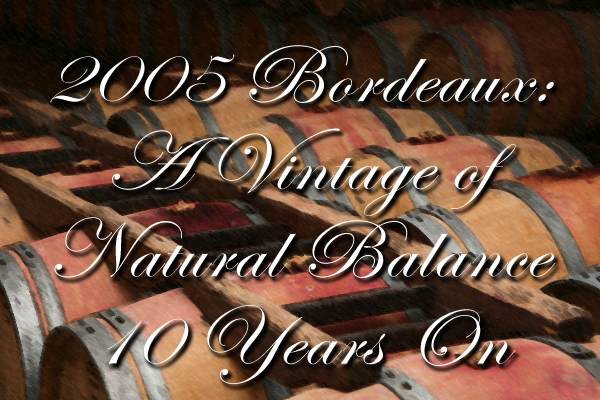 However, a key watershed moment in the film happens when Château Lafite Rothschild (a favorite amongst Chinese collectors) stamps the number ‘8’ on its 2008 vintage, a highly symbolic number that signifies China’s entry onto the world stage and more importantly, France’s recognition of this new power player. 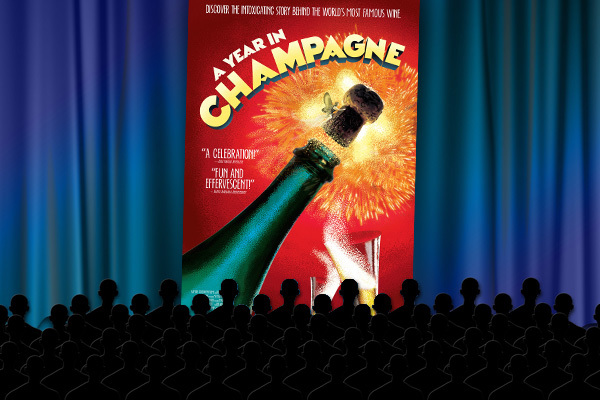 However, after watching Red Obsession, the whole idea of wine as an investment makes you wonder just how many people have actually drank the latest “vintage of the century”? With such an impressive return on investment, should we now think of wine (or at least the prominent labels) as an asset in one’s portfolio rather than something to be enjoyed between our friends and family? And with prices skyrocketing over the past several decades, is it any surprise that counterfeiting has also taken off, especially in China? These are the questions I had after watching this film, and questions I’m sure you’ll have too after witnessing the Chinese experience. Have you seen Red Obsession? Nah, not my type of flick. Ask Sid: How do I get a Vintage Card? Question: I have a friend who was using his vintage wine card to make a wine purchase and I found it to be a valuable tool. Is there any way I can order one for myself? Answer: Yes thanks for this opportunity to promote it. Founded in 1933 by Andre Simon the annual Vintage Card & Chart is a “valuable tool” using 7 as the highest score with helpful guides on current drinkability. A lot of research and yearly reviews by the Wines Committee and Consultants goes into making it a reliable general guide to wine vintages by wine producing regions around the world. It is widely reproduced in diaries and other publications but to order one contact IWFS at 4 St. James’s Square London SW1Y 4JU, UK or email sec@iwfs.org. Do you ever consult a Vintage Chart before purchasing wine? 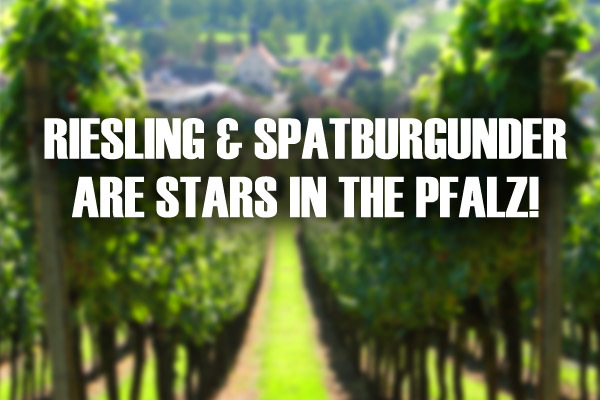 Riesling & Spatburgunder are Stars in the Pfalz! Impressed with the Riesling and Spatburgunder (Pinot Noir) on my trip to the Pfalz this month. This region has the largest area in the world planted in Riesling and they are producing superb wines from this variety. Really impressed with the dedicated focus on terroir and the resulting Riesling definition in the wine depends on the soil where it is grown. Generally slate soil shows elegant minerals, sandstone (yellow & red) gives more apricot fruit flavours, and clay results in a more citric character. However there are still issues because the hot 2015 vintage has resulted in some dry Trocken at a tiring 15 degrees of alcohol lacking the usual wonderful freshness and vibrancy they usually do so well. Spatburgunder is thriving with global warming especially on limestone soils but is still only just over 7% of the vineyard area (there is 3 times that amount planted in Baden) well behind the dominant easy drinking red Dornfelder. Highly endorse the delicate round complex pinot noirs from Weingut Friedrich Becker (www.friedrichbecker.de) now into their 6th generation. The winery is in the south Pfalz at the French border with a key unique 50 year old vineyard planted in 1967 with Swiss clones which actually is still in France! This results in some labelling and legal issues which I won’t get into here. PFLUGER: 2014 Durkheimer Fronhof Spatburgunder “R” – Balanced big cherries with lots of richness! VON WINNING: Winemaker Andreas Hutwohl likes screwcap for up to 5 year consumption & uses cork for his Grand Cru. Good 2016 Rieslings. A.CHRISTMANN: Delicious maturing 2013 Reiterpfad Riesling GG but sold out. MULLER-CATOIR: Family owned since 1744 with historic Manor House in Haardt built in 18th century using 100% own vineyards for refined wines by owner Philipp David Catoir & Winemaker Martin Franzen. Interesting to taste the difference between 2 Haardter Riesling 2016 – one from Burgergarten yellow sandstone with layers of clay & loess against Herrenletten sandy soil with layers of limestone & marly clay. OKONOMIERAT REBHOLZ: Talented experienced winemaker Hans Jorg Rebholz has a wonderful portfolio of wines. Great 2015 Ganz Horn Im Sonnenschein Riesling GG at 12.5 very fresh with petrol. Making superb Spatburgunder on only limestone soils. GIES-DUPPEL: Young dynamic Volker Gies in Birkweiler is looking for freshness in a modern German style. 2 years on yeast for 2104 Weissburgunder (70%) & Chardonnay (30%) blend at reasonable 13.50 euros. Juicy cherries in 2014 Ilbesheimer Kalmit Spatburgunder. SIEGRIST: Top quality with 2015 Sonnenberg Riesling GG (24 euros) & marinated sweet cherries of 2012 Kalmit Pinot Noir GG at 14 alcohol is delicious (35 euros)! FRIEDRICH BECKER: Admire everything this amazing Schweigen winery does. The 2 Spatburgunder 2013 they showed were both so balanced elegant and complex. Winners with both bigger style from limestone clay of Rechtenbacher Herrenwingert & more delicate ethereal Schweigener Steinwingert. 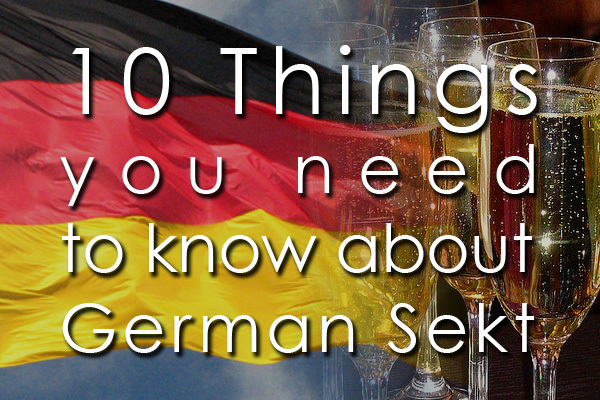 Have you tried any of these exciting wines from the emerging Pfalz region of Germany? If not you should! Have you tried any of these exciting wines from the emerging Pfalz region of Germany?